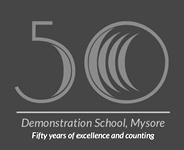 Greetings from DMS Alumni Mysore. Cold and snowy season has arrived, It’s time for little warmth, love and peace, it’s time for little fights and cheers, and it’s finally time for the 3rd Global DMS Alumni Meet. Block your calendars for 24th December 2011 between 6-9pm at DMS, Mysore for a fun frolic filled evening accompanied with dance and music. Let us go back to the days when we stood on the stage amongst hundreds of people with lights flashing and legs trembling School Day performances. Wake up your old pals and drag them along. This event would be with a subscription fee of Rs. 250 per person which includes evening hi tea, dinner buffet and the cultural evening. Family of the alumni are also welcome to the event. Counseling sessions scheduled for school students on Nov. 26th and Dec 3rd. Vivek Memorial scheduled for first week of December and jointly sponsored by DMS Alumni Trust and Indra Bhavan Group. Please register for the alumni meet in the form attached below. Please send your registration fees by way of DD/ MICR Cheque in Indian rupees drawn in favor of “DMS Alumni, Mysore” payable at Mysore. Please send it by post to Dr. A.K.V.D. Kamath (Treasurer), Assistant Professor, Regional Institute of Education, Mysore 570 006. Members depositing/transferring cash are requested to kindly intimate the details such as amount deposited, name, etc. to the association in order to maintain records. Meanwhile plan your travel; we’ll be back with more updates soon. If anybody is interested to volunteer and get involved with the organizing team to put a memorable show, please email to dmsaam@gmail.com.